Deadline are reporting that NBC have cancelled the time travel show after 2 seasons. Sony is expected to explore further avenues for the show, including but not limited to a wrap-up movie. You can read more in depth details at Deadline. But what about Rufus? This is bad news for Timeless fans — for a second consecutive year, NBC has canceled the time-travel series. 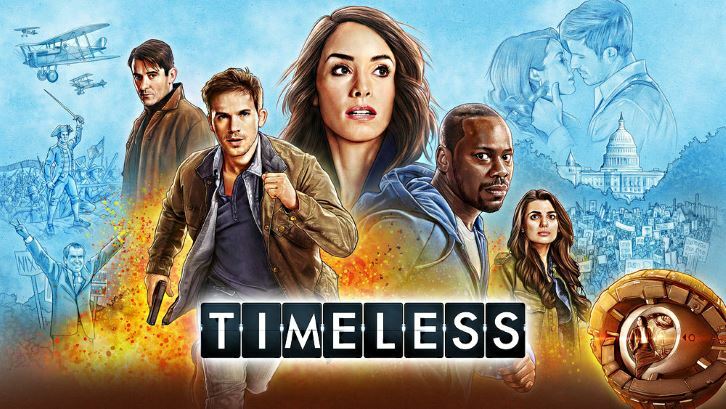 This time, NBC postponed the renewal decision until after the May upfronts; it comes just days before the options of the series’ cast are set to expire.